On this show, the first in a series of segments marking important anniversaries in 2017. 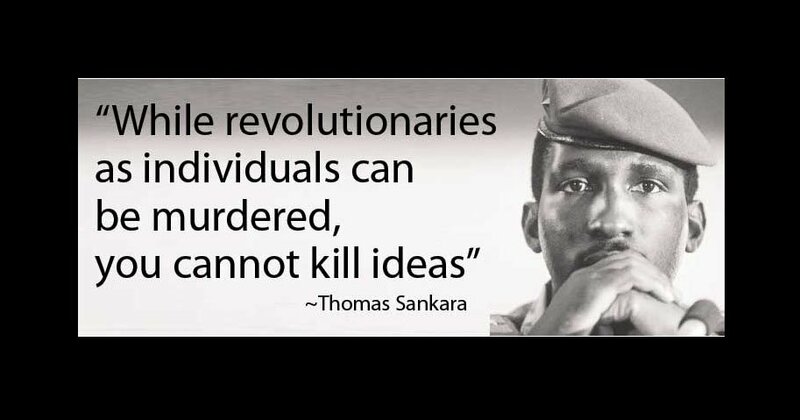 On October 15, 1987, the African leader and visionary Thomas Sankara was assassinated after making revolutionary changes in the country that was named Upper Volta by French colonizers and that he renamed Burkino Faso. Also, on October 9, 1967, Cuban revolutionary Che Guevara was assassinated in Bolivia. We hear voices from a recent conference in DC that explored the continuing significance and life work of each of these men. Also, media critic Janine Jackson joins us to talk about lies, damn lies and official lies coming from the Trump White House. Headlines on immigration, a coup by the big banks, Gabbard and Booker propose separate pro-environment bills.